It isn't clear yet whether the new color variant will be available in both 128GB and 512GB storage variants. 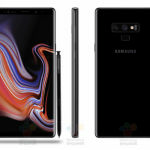 The Galaxy Note 9 (Review) was launched in four color variants—Lavender Purple, Metallic Copper, Midnight Black and Ocean Blue— in August 2018. Recently, the company launched a white-colored variant of the Galaxy Note 9 in a few markets, and it is calling the new color First Snow White. Now, Samsung has announced that the new color variant of its latest flagship smartphone will be launched in India very soon. Moments ago, Samsung Mobile India tweeted mentioning “the colour of the season” with the Galaxy Note 9 moniker as well as a cool animation showcasing snowflakes, an outline of the phone and the S Pen stylus. The tweet also mentions “the coolest colour of the year.” All of this points towards the First Snow White of the Galaxy Note 9 will enter the Indian market before the end of this year. It isn’t clear whether the new color variant will be available in both 128GB and 512GB storage variants. The white variant of the Galaxy Note 9 was first launched in Taiwan in November 2018. Now, India will become the second country where this new color variant is being launched by the company. 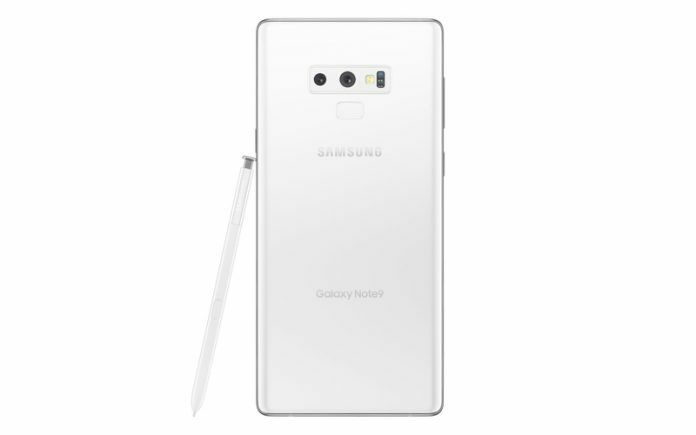 The rear of this color variant of the Galaxy Note 9 is painted in pure white, while the front bezels remain black. Everything else remains similar to that of other color variants. If you’re someone who liked the iPhone 4 in its white avatar, you might like the Galaxy Note 9 in the First Snow White variant. There shouldn’t be any difference in the pricing of this variant. 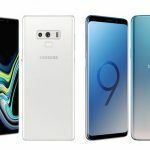 Whether or not Samsung bundles this variant with special offers such as cashback or price cut on smartwatches (Galaxy Watch or the Gear Sport) remains to be seen. Should You Buy the Galaxy Note 9? 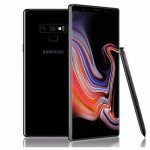 The Galaxy Note 9 is a high-end Android smartphone with the best combination of features, looks and specifications among all 2018 smartphones. We reviewed the phone and came impressed with its overall performance, even though the battery life is shorter than what its 4000mAh battery capacity might suggest. It has a 6.4-inch QHD+ Super AMOLED Infinity Display with HDR10 playback and Corning Gorilla Glass 5 protection. It runs Android 8.1 Oreo out of the box, but Samsung has started rolling out the beta version of its Android 9 Pie-based One UI update in India and other markets. The phone uses the Exynos 9810 processor, 6GB RAM and 128GB internal storage. There’s also a pricier variant that has 8GB RAM and 512GB internal storage. It also has a microSD card slot. 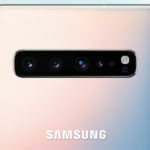 The Galaxy Note 9 has a 12MP+12MP camera setup at the rear. The primary camera uses a 1/2.55-inch sensor, f/1.5+f/2.4 dual-aperture, and a wide angle lens. 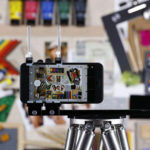 The secondary camera uses a smaller sensor with f/2.4 aperture and 2x optical zoom lens. Both sensors are optically stabilized and can capture 4K videos at up to 60fps. There’s an 8MP front-facing camera with autofocus and QHD video recording. The phone features a hybrid dual-SIM card slot, gigabit Wi-Fi, Wi-Fi Direct, Bluetooth 5.0, GPS, USB 3.1 Type-C port, and a 3.5mm headphone jack. It also features a fingerprint reader and an iris scanner. The Galaxy Note 9 has stereo speakers, fast wireless charging, IP68 certification for dust and water resistance, and Samsung Pay. 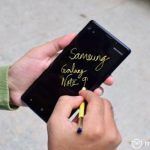 If you’re looking for a high-end Android smartphone with good looks and a strong feature set, you should definitely consider the Galaxy Note 9.